One of the most frequently asked questions that Mindexcoin receives is about the existing relationship with the Ethereum platform. Many users end up confusing the system created by the company, with the ETH cryptocurrency. Mindexcoin has no relation to the cryptocurrency of the Ethereum network, but it is another totally different cryptocurrency. The point at which the MIC intertwines and is linked to Ethereum is on the platform and the intelligent contract that exists between the companies. Just as Mindexcoin is not just about the cryptocurrency MIC, but it also has other projects, such as an online financial platform (read more about the platform here), the same happens with Ethereum. The company is not limited to a digital asset, but it is also a platform that offers several services. Among these services offered by the platform is the ability to make smart contracts, which makes applications safe from fraud or scams. A smart contract is an online protocol, which can be self-executing. It is through them that unknown people can negotiate with each other, without knowing each other, totally online and in a safe way. Smart contracts do not require the intermediary of central authorities, so they are so used by cryptocurrencies, maintaining security and non-tracking of transactions. This type of contract can and should be performed by two or more parties, and does not require human involvement. The Ethereum platform is one of the largest, safest and most renowned in the field of smart contracts. It is through this agreement that Mindexcoin becomes so safe and convenient for quick transactions. Like a legal and physical contract, smart contracts also contain the rules, duties, rights and consequences of those involved. But unlike traditional contracts, and because they lack involvement and intermediaries, smart contracts greatly reduce transaction costs, including online purchases. The Mindexcoin smart contract is of the ERC-20 type and is registered at the address 0x3a1237d38d0fb94513f85d61679cad7f38507242. When users access the site https://etherscan.io/token/0x3a1237d38d0fb94513f85d61679cad7f38507242, you can check all the technical information of the MIC, such as maximum supply, transactions that have already taken place, owners and more. 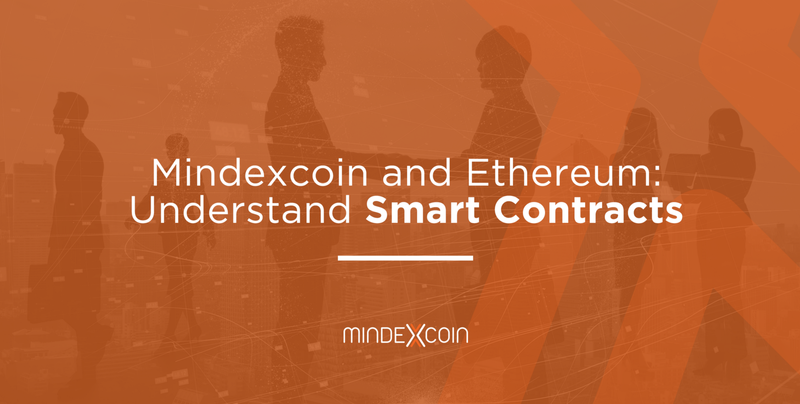 Although Mindexcoin and Ethereum are completely different companies, it is through this partnership that it becomes possible to carry out a safe and complete work with the cryptocurrencies. Do you want to know more about any subject, or have any questions? Send a message to https://mindexcoin.zendesk.com/hc/en-us/requests/new and talk to Mindexcoin. Cryptocurrency like you have never seen.